Here at Advanced Cutting Tools our core value is the accurate prescription of cutting tools. We understand just how urgent the right tool, in the application, at the right time it can be. That is why we have hand selected FORMAT Tools to be the core brand in our ACT catalogue. Format Tools see more than just tool and materials, each product is developed with the aim of offering the very best-possible solution for perfect work results. It is because of that we have a library of over 36,000-line items, for you to work alongside us to define the perfect tool just for you. Our onsite and in-house team can technically advise you on each and every tool in the ACT Catalogue to ensure you are prescribed the right tool, the right time... no ifs not buts. We understand that it can be difficult to keep track of our little black book on your shelf on 100s of cutting tool manufacturers, that is why we have developed an online ACT Catalogue, so that we are there just when you need us most. 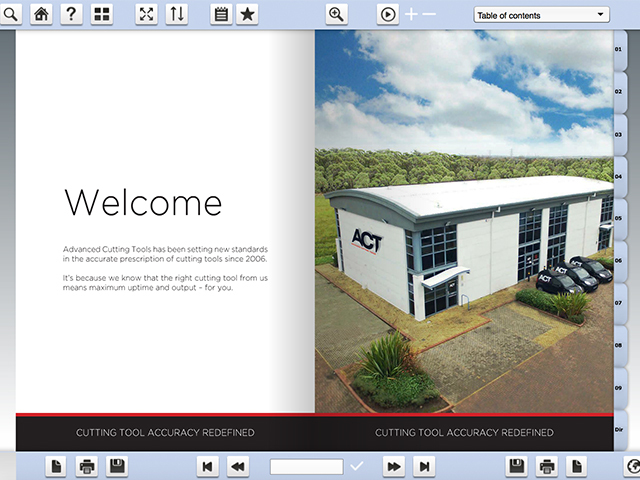 If you'd like your virtual copy of the ACT Catalogue, please contact marketing@advancedcuttingtools.co.uk today. It's a range you simply won't want to miss.